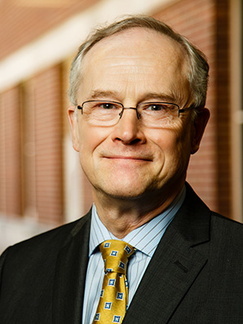 My connection with the School of Public Health began in 1980, when I joined the Minnesota Heart Health Program as a student research assistant. Public health was not part of my career plans but my experience with this innovative community health promotion campaign changed that quickly. I found terrific colleagues of diverse disciplines with passion for important research and education for the people’s health. My skill set in communication campaigns fit right in. This was home. I've been SPH dean since 2005. Every day, we strive to improve the school’s environment for the best discovery, learning, and community engagement we can achieve for the public’s health. As a land-grant university, we value our role supporting an educated citizenry and in transforming discovery that benefits people here at home and around the world. I have joined with community organizations for many years in the issues of housing, social services, and challenges facing immigrant and refugee communities. Today I serve on the board of HealthEast Care System, HealthPartners Research and Education Institute, and the Backyard Initiative Community Advisory Board (supported by Allina Health). I also serve as board chair for Children’s HeartLink, and past board chair of the international Association of Schools and Programs of Public Health (ASPPH).